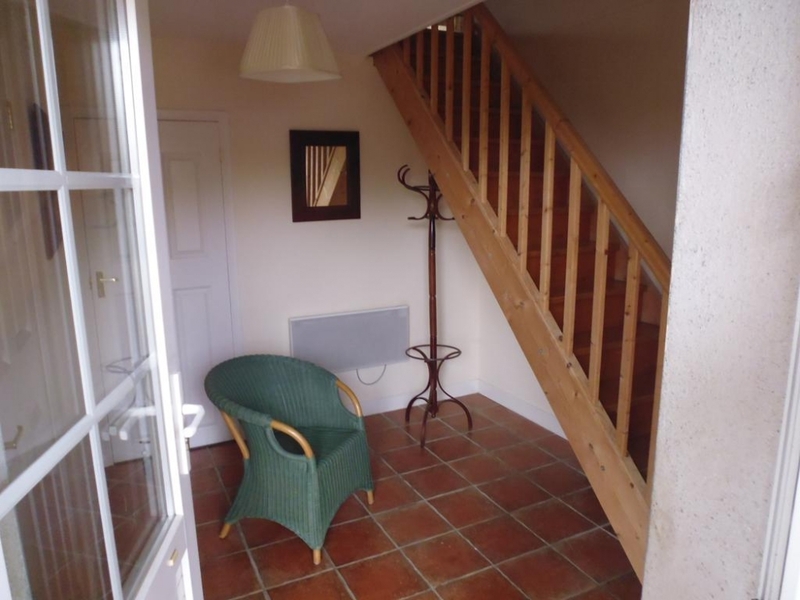 This is a stunning loft syle appartement with a tiled ground floor entrance. 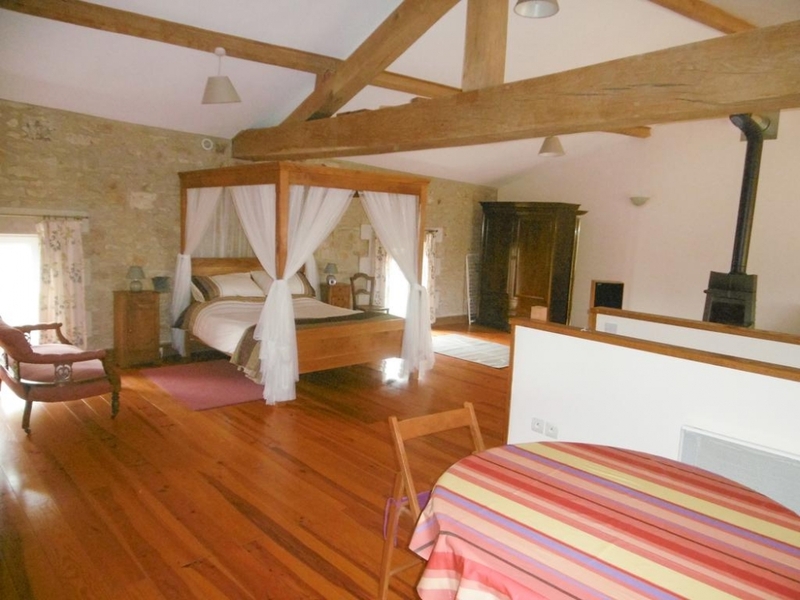 Upstairs there are wooden floors and oak beams. 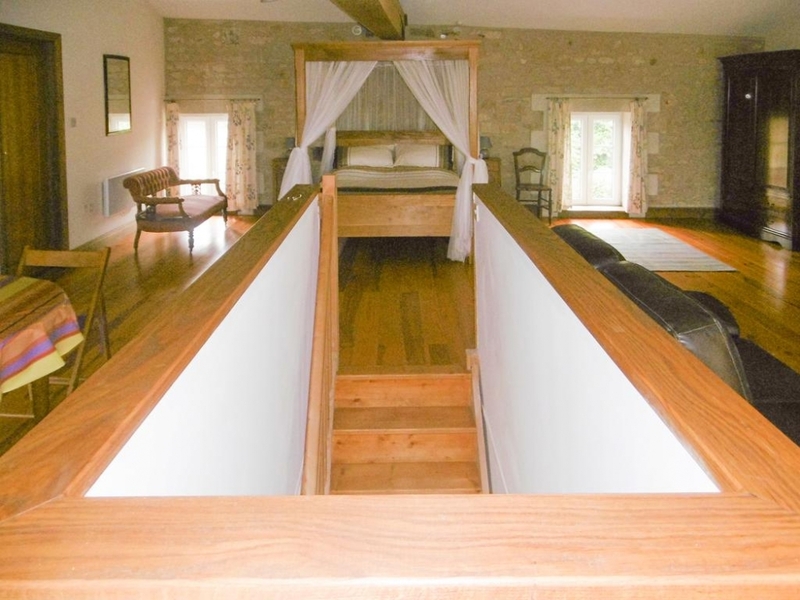 There is an oak four poster king size bed, a large shower room, a fitted kitchen and a private balcony. 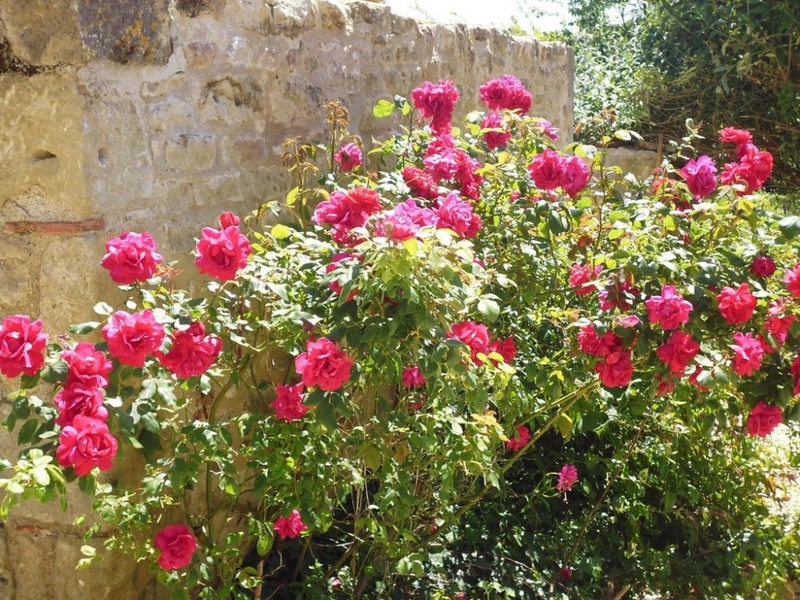 Guests have access to a washing machine, use of the main garden and a newly created sun terrace. NEW FOR 2019 is an 8 x 4 metre heated salt water pool. The property is comfortably furnished. Bed linen is provided and towels can be made available. It is double glazed with heating for the cooler months. Traditional features have been retained with contemporary renovations to ensure comfort. UKTV is suppled plus CD/DVD players. 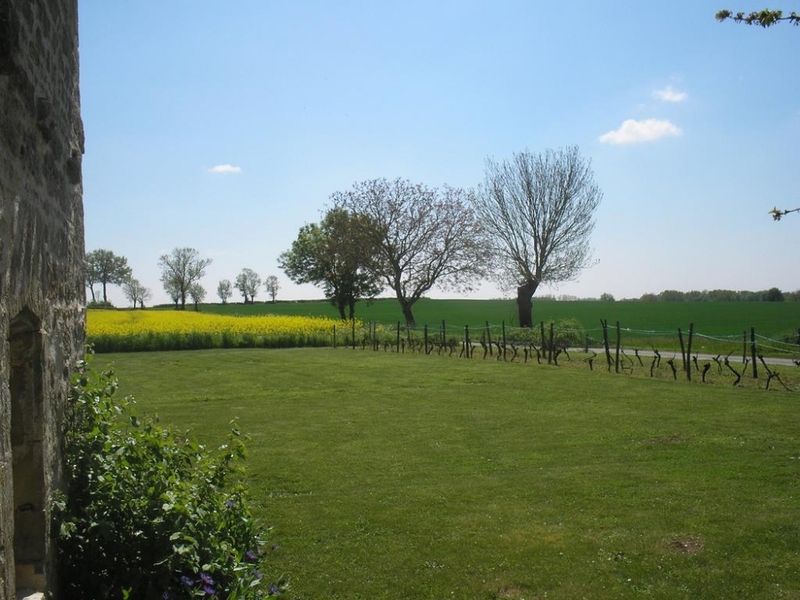 The gite is for a couple but could be rented with L'Atelier by 4 people who like each others company but also like some time alone. Discounts are available if they are both booked by the same party. 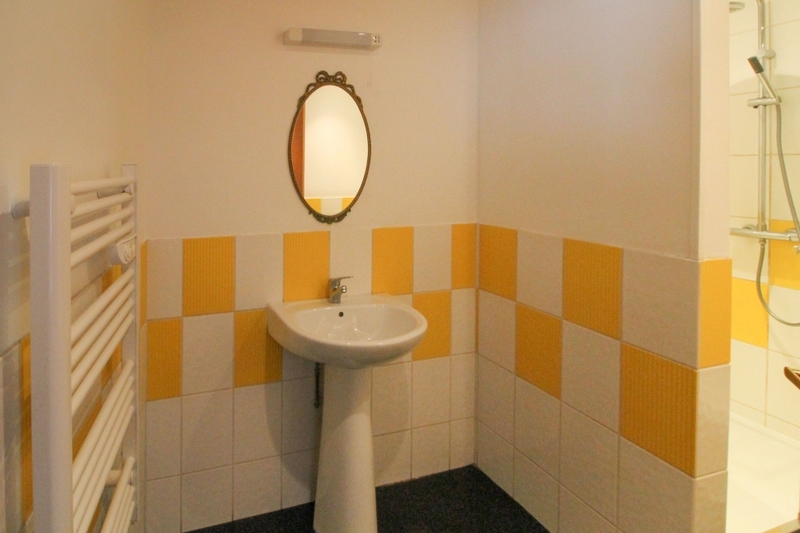 A private ground floor tiled hallway with stairs leading to the loft style appartment. 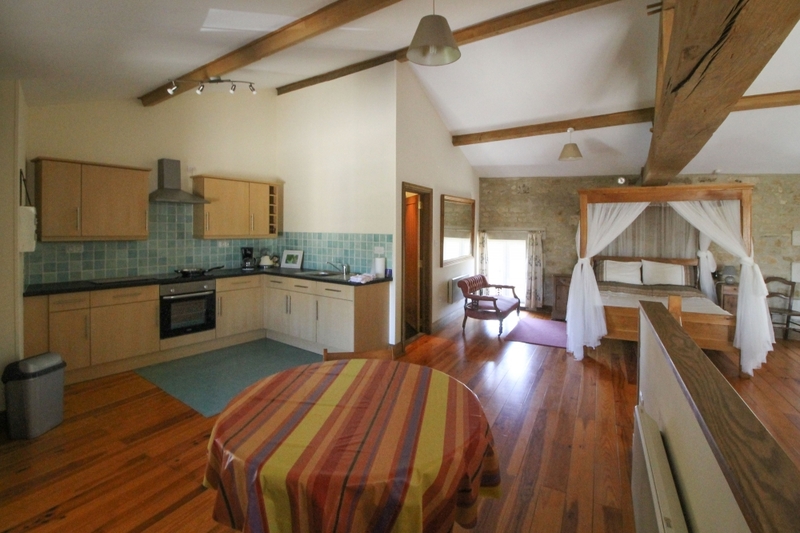 Wooden floors upstairs throughout although the shower room has lino flooring. Fitted cupboards in the kitchen with integrated oven, induction hob and fridge.Cooker hood, micro-wave, kettle and coffee maker. 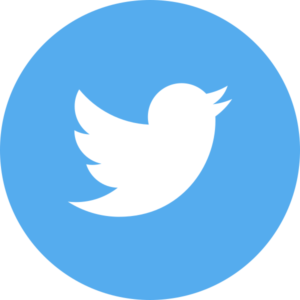 Good quality cookware and utensils etc. Wooden table and chairs in the dining area. 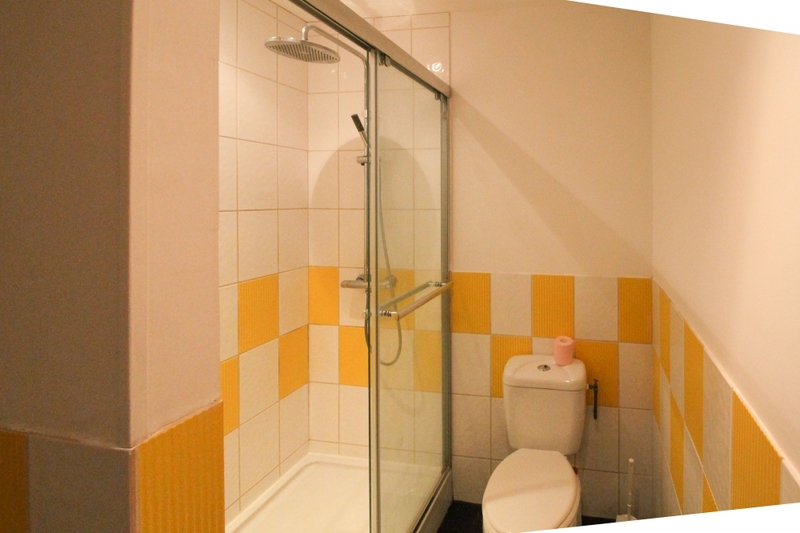 Large shower room with 120cm X 80cm shower and wc. 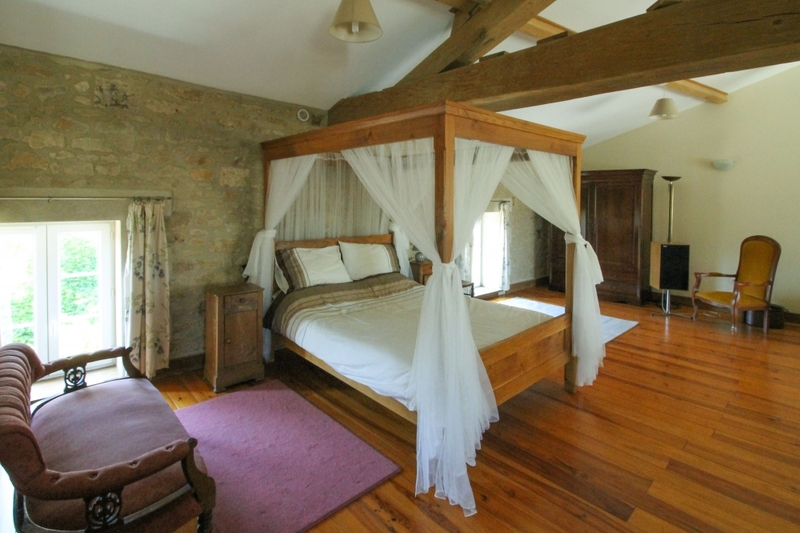 The bedroom area has an oak four poster, 2 bedside cupboards and lamp, 2 chairs, 2 rugs and wardrobe. The living area has a sofa and an armchair, coffee table and rug. Large screen UKTV DVD/CD player. 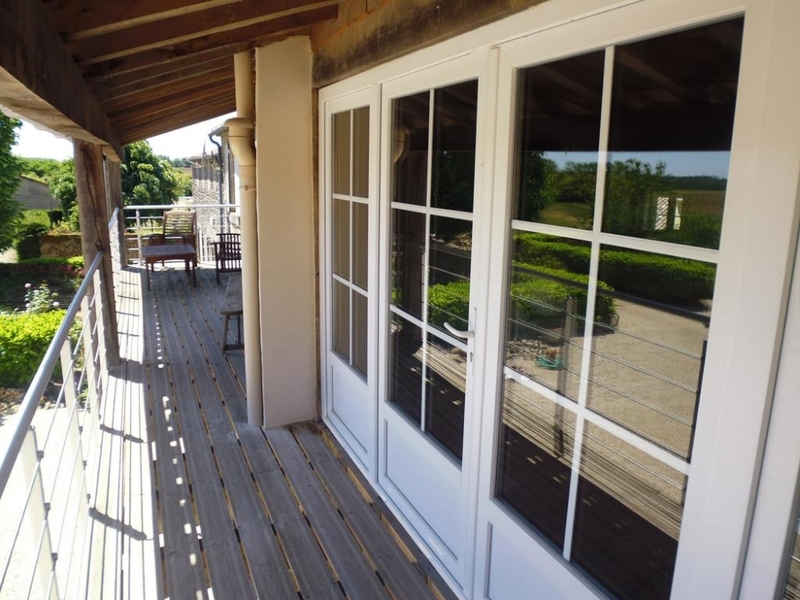 The french doors open on to the balcony which has a table and chairs. 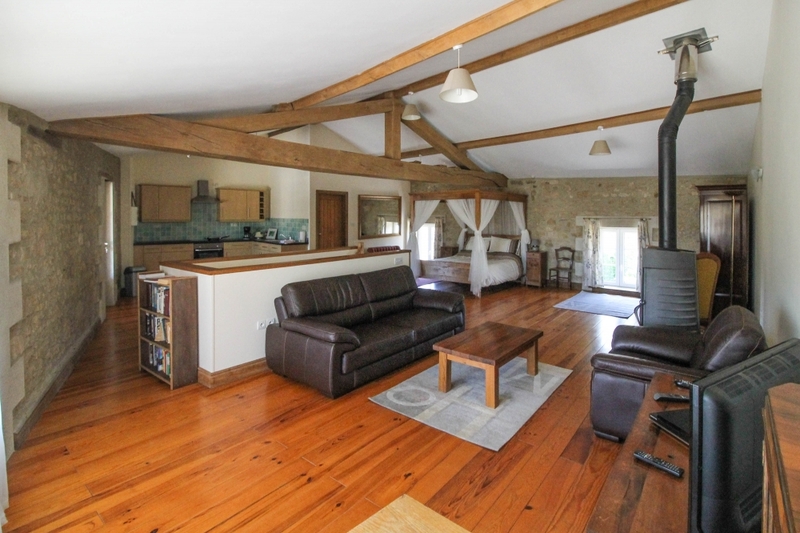 The exposed oak and vaulted ceiling gives a wow factor to this unique holiday accomodation. 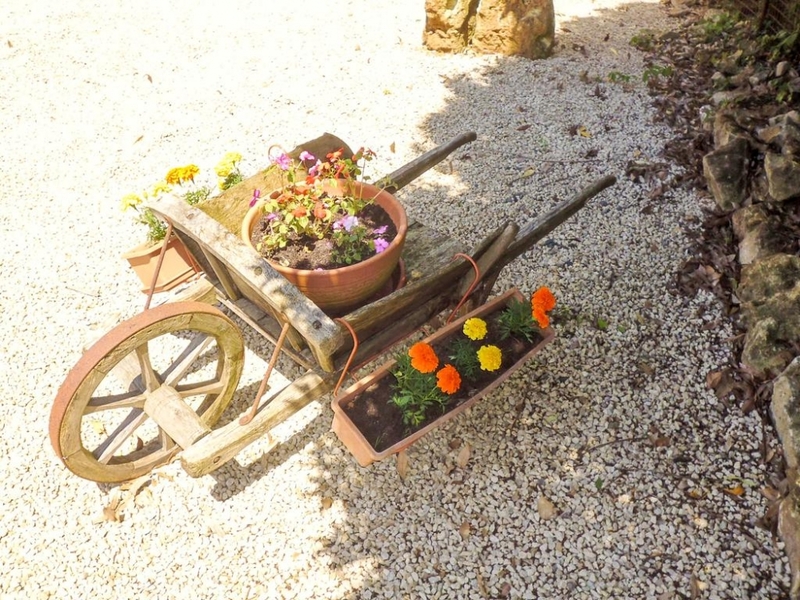 The gites have use of a washing machine and guests have use of the garden and pool. There is a first floor sun terrace located in the courtyard and loungers. In both properties duvets and english style pillows are provided as well as bed linen. They have been designed specifically with couples in mind rather than cramming extra sleeping capacity into the space. 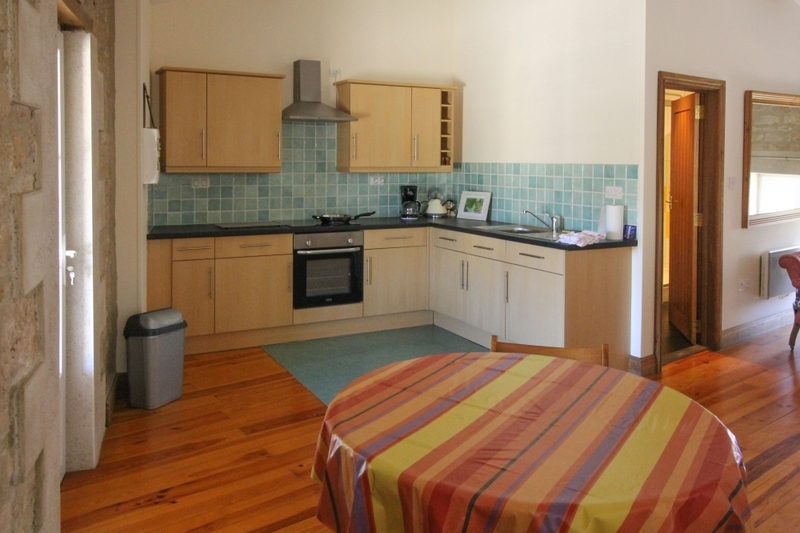 They each provide approx 65 m2 of accommodation which for 2 people exceeds 5 star standard. Smoking is not permitted inside and no pets please. There is ample parking in the courtyard. Towels can be provided for a small charge. Wi-fi available. 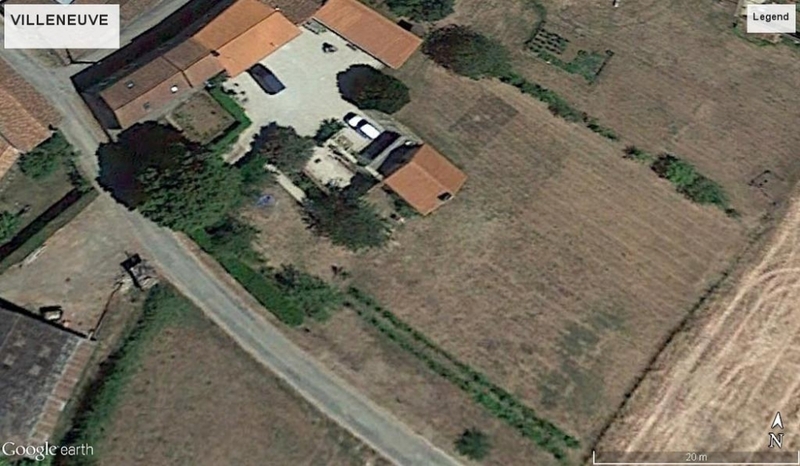 Both gites are double glazed and have heating for cooler periods. 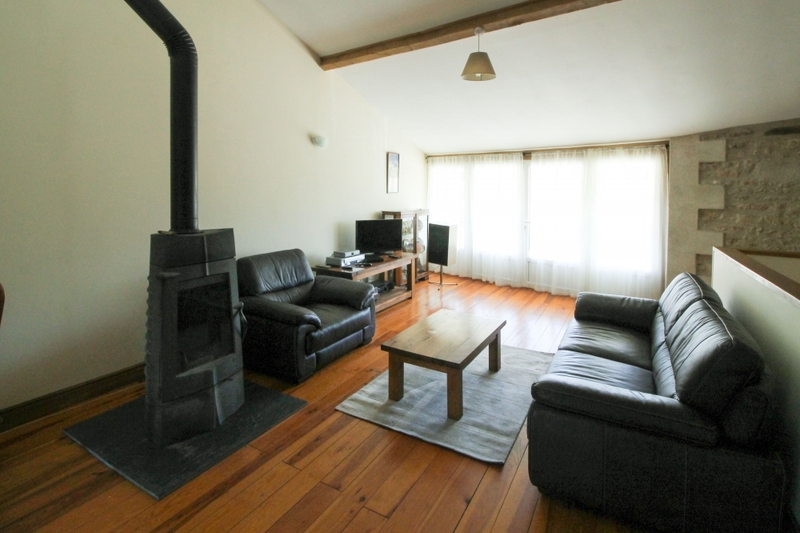 The Loft has a contemporary style wood burning stove. The area offers much to explore and has a good sunshine record thanks to its micro-climate. Puy de Fou, recently voted the worlds finest and Futuroscope theme parks are within easy reach and are worth a visit. Local lakes and the Mervent forest are within a few minutes drive. Mervent has an adventure course and canoeing facility. Horse riding is popular and the Atlantic coast is good for surfing. The area is great for walks and picnics. Day fishing cards and be purchased in high season.